Vista Bella luxury condominium home for sale in Orange Beach AL. Incredible 1st level east-corner property with approximately 2,590 sq. ft. and a private, wrap-around balcony. This fantastic residence is ideal for enjoying the gulf coast living – the master BR is spacious, with room for a sitting-area, plus two walk-in closets. The master bath has a large jetted tub with a separate walk-in shower. This residential community has coded elevators, covered parking, indoor && outdoor pool, and state of the art exercise facility. Enjoy the beautiful sunrises & sunsets over Old River from balcony or take the short walk to the deeded beach access for a stroll on the beautiful white-sand beaches! Don’t miss this opportunity – rent-restricted, low-density building – come see! 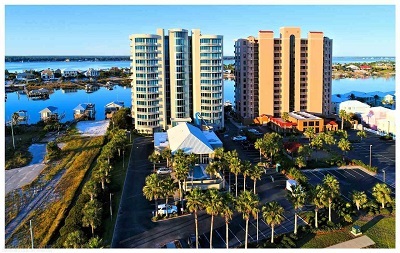 Vista Bella waterfront condos in Orange Beach is a waterfront development on the Alabama Gulf Coast. This condominium is low-density with only 51 residences consisting of 3, 4 & 5 bedrooms that range from 2,500 s.f. to 4,500 s.f. This luxury property is situated near the Florida state line and Perdido Key. The community is convenient to restaurants, entertainment and numerous outdoor activities.